Welcome to the Tweed Museum of Art! We are excited to share with you some noteworthy upcoming events that will be taking place at the museum, so mark your calendars to join us! Visit the exhibition and view the biographies of the honorees and the ceramic awards created by area artists. 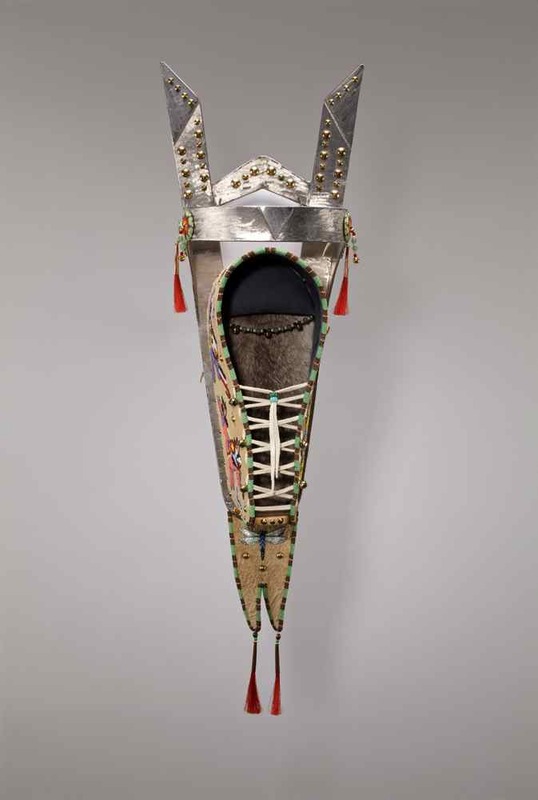 A new selection of contemporary and historical Native American art objects has been rotated into the Richard E. and Dorothy Rawlings Nelson Collection Case. Older examples of intricate beadwork, Pueblo ceramics, shawls, cradles, and woven baskets are shown alongside newer works which employ traditional media and techniques in innovative forms, offering a view of the continuity and development of Native culture. Learn more. A selection of paintings from the Tweed Museum of Art collection by artist Gilbert Munger are featured in the Olive Anna Tezla Library. 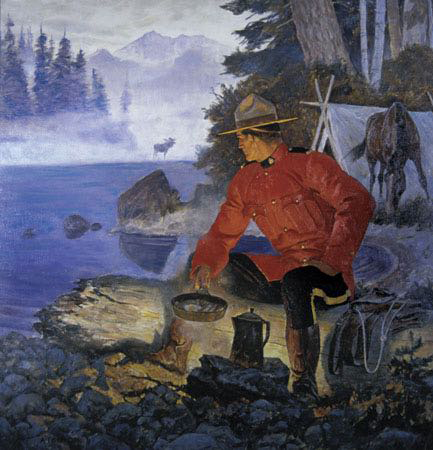 The exhibition consists of 17 original paintings of the Royal Canadian Mounted Police from the Potlatch Collection at Tweed. The works are from Arnold Friberg and Robert Addison. This exhibition will move to the Balcony Gallery after August 27. Tradition has exercised a strong current of influence in American studio ceramics, yet the field of ceramics experienced an explosion of new ideas in the 1950’s. This exhibition illuminates the threads of influence as well as new directions. 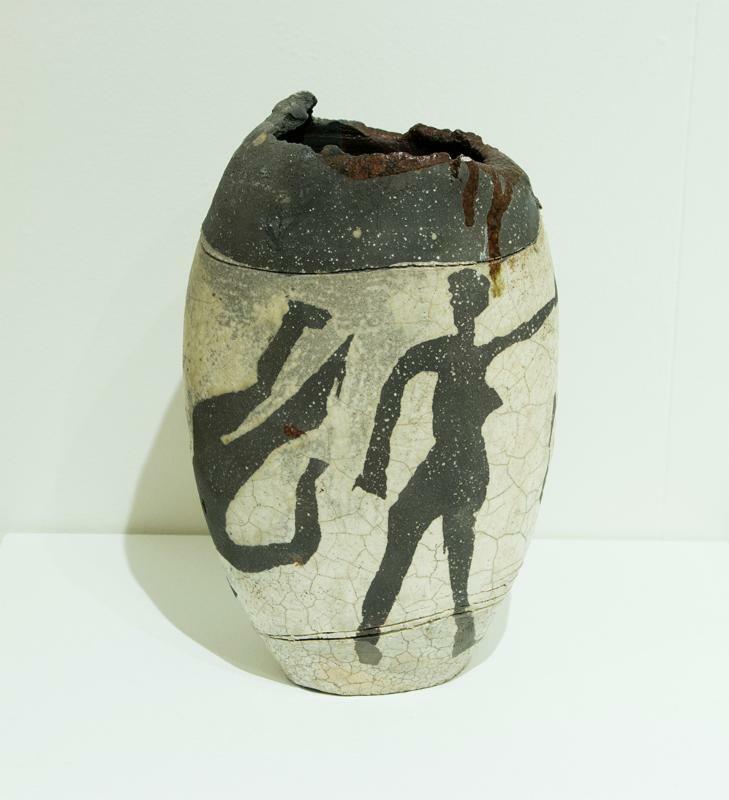 Renowned, nationally-known ceramic artists, provide the foundation of the exhibit, with works from the Tweed collection, Bemidji State University, and regional artists providing breadth and depth to the selections. Read more. Vase with Female Figures, n.d.
2. our lenses regarding Chinese art and Chee’s contribution to multi-cultural experience. Mr. Chee will be present at Tweed on that day to meet and greet visitors and sign catalogs. The event is free and open to the public. Join us to celebrate the closing of The Way of Cheng-Khee Chee: Paintings 1974-2014. There will be a small selection of original recent paintings that will be available for sale at the reception. The exhibition closes Sunday, September 20, 2015. 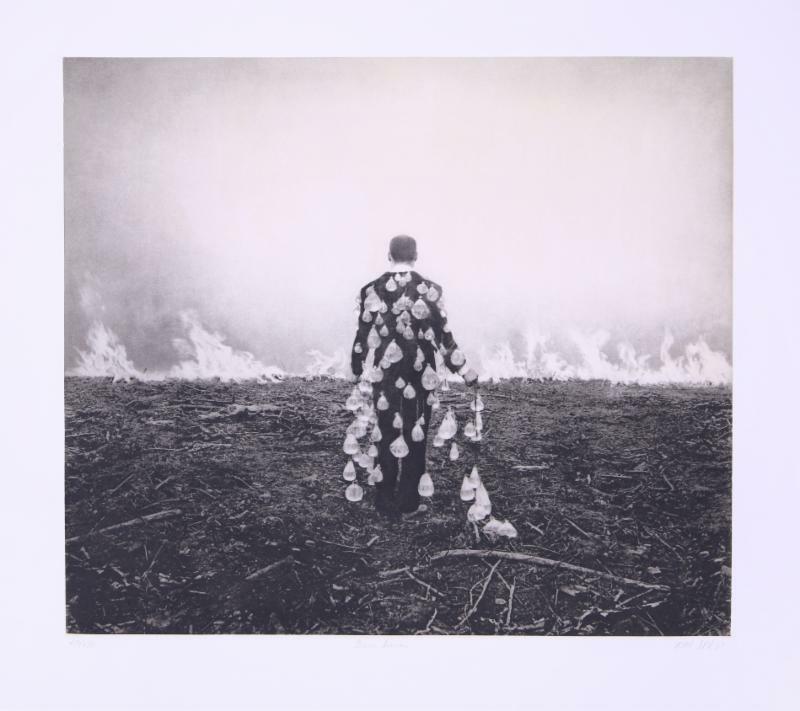 Shana and Robert ParkeHarrison will be guests of Wanda Pearcy, Assistant Professor in the Department of Art and Design at the University of Minnesota Duluth. Shana who studied painting, dance history and metalsmithing and Robert, a photographer, have collaborated for over 18 years. The couple will join us in the Tezla Library at Tweed to talk on collaboration. This event is open to all students and the public. The ParkeHarrisons construct fantasies in the guise of environmental performances for the protagonists of their images. The artists combine elaborate sets within vast landscapes to address issues surrounding man’s relationship to the earth and technology while additionally delving into the human condition. Jim Klueg, ceramist and head of the Department of Art & Design, UMD, will give a presentation related to the exhibition Resurfaced and Reformed: Evolution in Studio Ceramics. Klueg will present about works related to the European and Bauhaus Influence grouping. 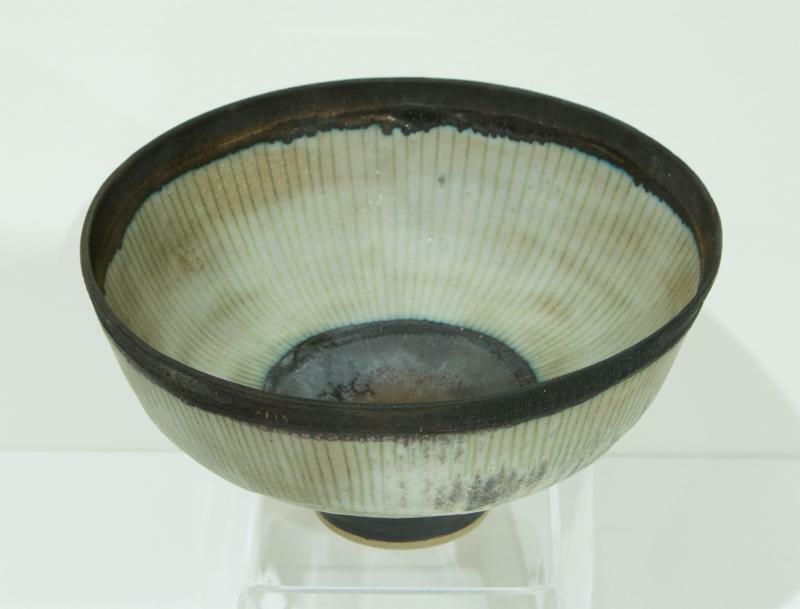 Classic Bronze Rimmed Bowl, n.d.
Tweed Museum of Art will feature two artists with separate exhibitions. The Tweed Museum of Art has commissioned a multi-disciplinary temporary two-story sculpture for the Sax Gallery. This piece, a suspended constellation of aluminum and mylar forms, will involve a contemporary, classical musical score and a dynamic lighting design. Louden’s work is held in major public and private collections including the Whitney Museum of American Art, The National Gallery of Art, Yale University Art Gallery, and the Museum of Fine Arts, Houston, among others. Her work has also been written about in the New York Times, Art in America, Washington Post, and Sculpture Magazine, as well as other publications. She has received a grant from the Elizabeth Foundation for the Arts and has participated in residencies at Tamarind Institute, Urban Glass and Art Omi. In 2013, Louden received a New York Foundation for the Arts Artist Fellowship in the category of Architecture /Environmental Structures/Design. Louden is also the editor of Living and Sustaining a Creative Life: Essays by 40 Working Artists published by Intellect Books and distributed by the University of Chicago Press. Robert Minichiello is a painter from New York, who for the past five years has found himself in the zone and has been on a prolific roll–a most remarkable output of ideas through large, unprimed, unstretched canvas works made with house paint found in the oops! shelf at the housewares store. Starting from the initial encounter of Minichiello’s work, the images are magically groundless, foreboding as a set of warning signs, and ironic in the way how the forms attempt to become elemental in spite of being worldly. – Hella Bloom Cohen, Ph.D, St. Catherine University, St. Paul. Free and open to the public, except live performance. The opening reception will feature a premiere performance of the music composition for the installation with Andrew Simpson, composer, who resides in Washington D.C. The live performance is limited to ticket holders. More information to come on our website for details about ticket sales. The fashion show will feature a series of beaded clothing created by artist Delina White.Delina White lives in the traditional village of Inger on the Leech Lake Reservation where she is an enrolled tribal member. Delina is a textile and mixed media artist, combining beads and fabric in the traditional woodland style of design. Delina is a 2010 Bush Artist Fellow. More information will be posted on our website as more details become available. During the Fall Semester 2015, the School of Fine Arts, UMD, presents a series of senior student exhibitions at the Tweed Museum, with a reception on Tuesdays from 4-6pm in the Studio Gallery. These events are free and open to the public. Please check our website to view the scheduled at www.d.umn.edu/tma and click on the On View at Tweed. 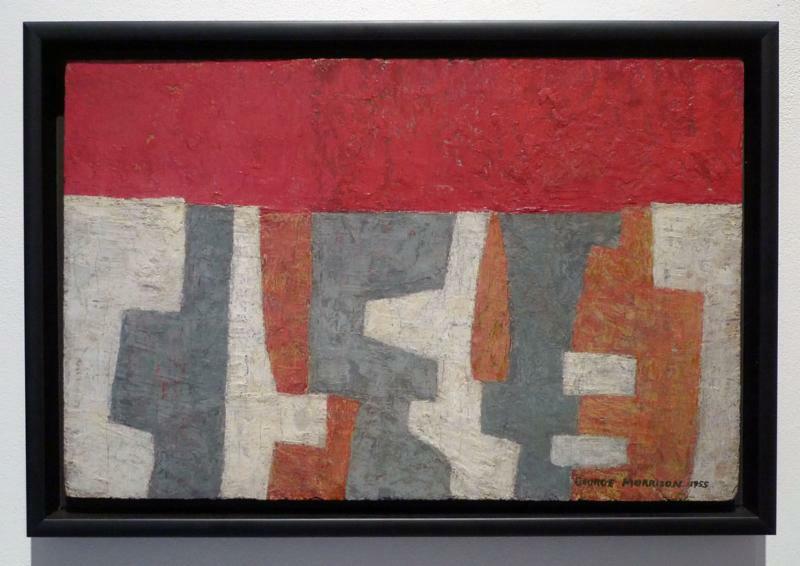 Briand Morrison, jazz guitarist and son of prolific American landscape painter and sculptor George Morrison (1919-2000), will present a performance honoring the memory and legacy of his father. The event features live guitar performance to accompany a slide show of artistic works. Learn about Briand Morrison.